Fall is one of my favorite seasons, not just because of the beautiful fall colors and cooling temperatures, but because I love the smell of the house when I bake up a batch of pumpkin anything. 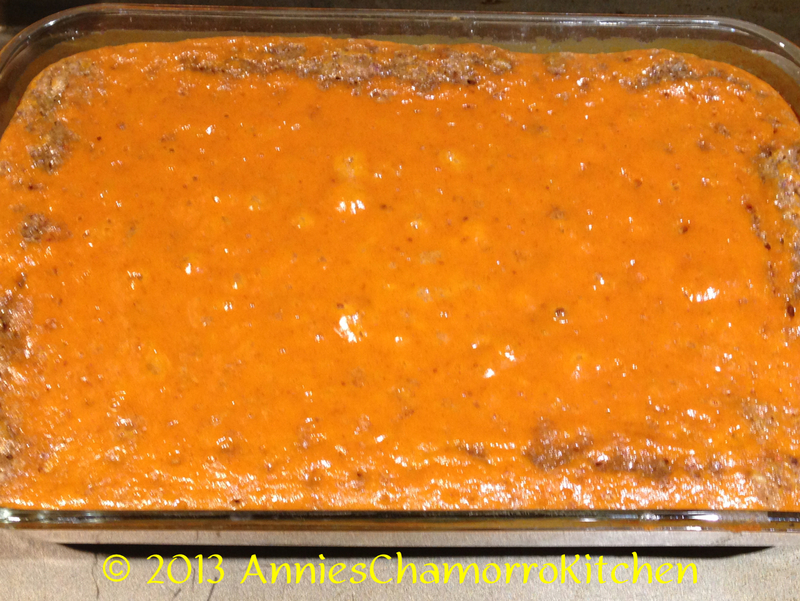 I say anything because my family loves most everything made with pumpkin. 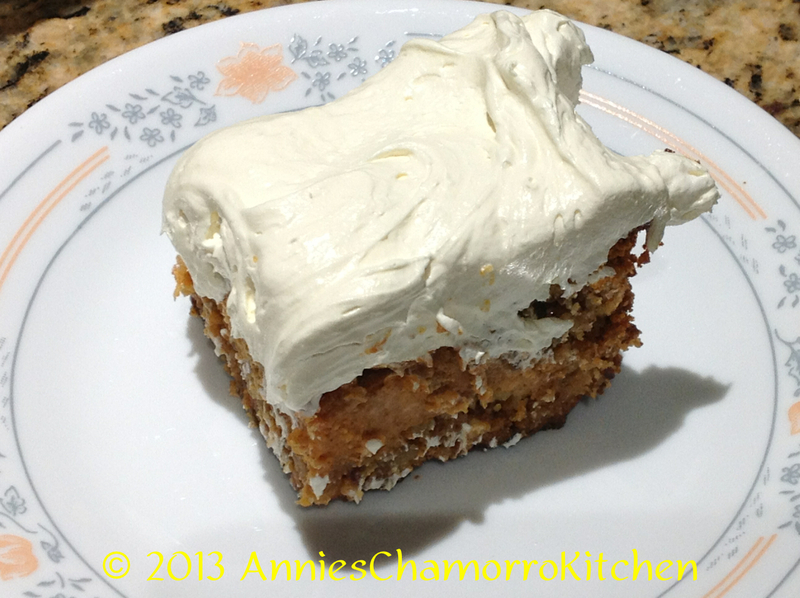 Pumpkin pie, Pumpkin Turnovers (Pastit or Buchi Buchi), and one of our favorites — Pumpkin Carrot Crunch Cake. 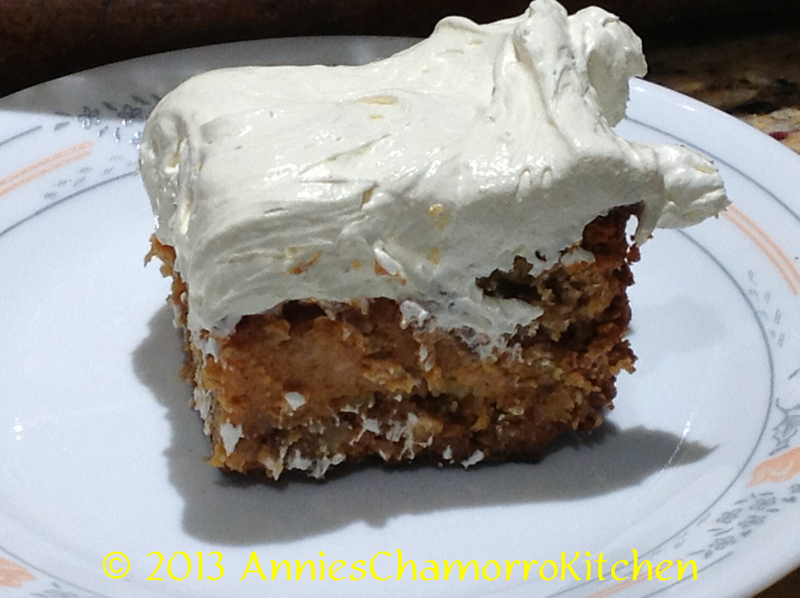 This recipe is my take on the popular Pumpkin Crunch Cake that you must have seen making its rounds on the internet. I make mine differently. 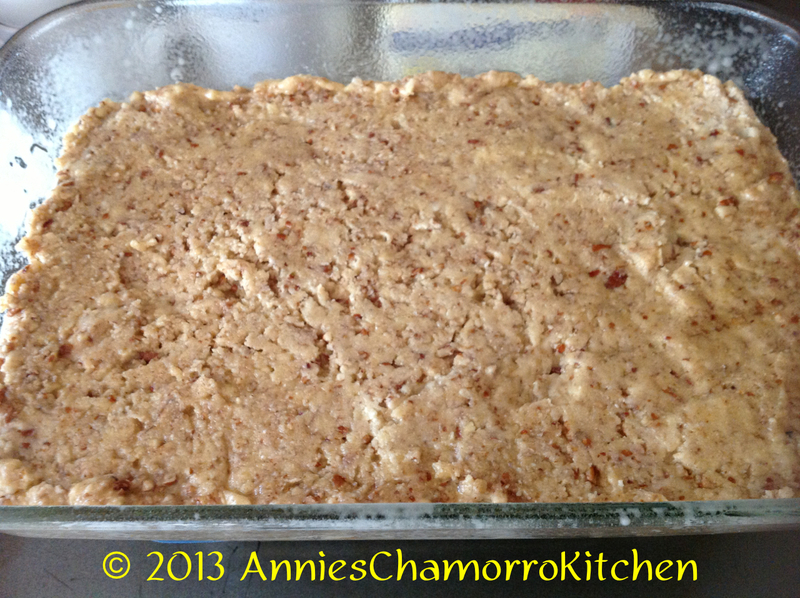 One thing I do differently is instead of sprinkling dry cake mix over the pumpkin filling, I make a cake and nut layer by mixing together melted butter, chopped nuts and the cake mix, then spreading it onto the bottom of a pan, making a delightful crust of sorts. 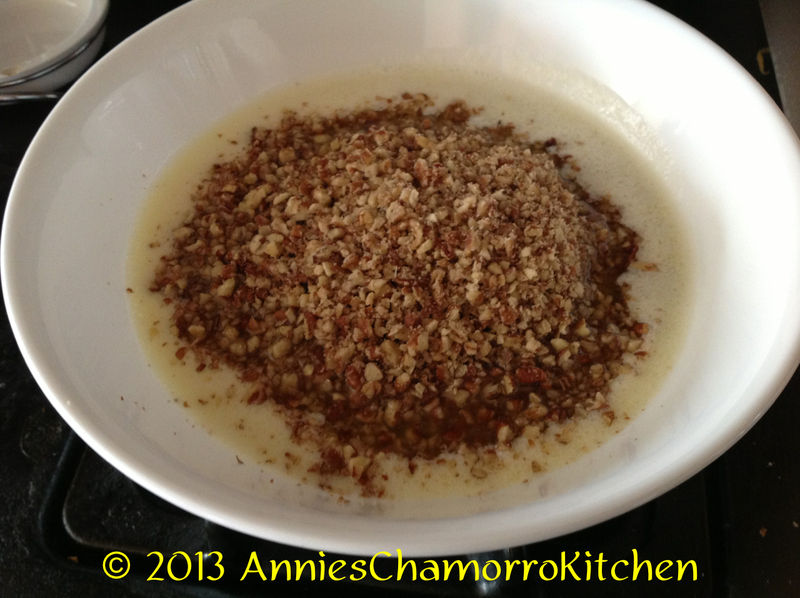 My pumpkin filling is essentially a custard, forming a rich and creamy layer on top of the cake and nut crust. 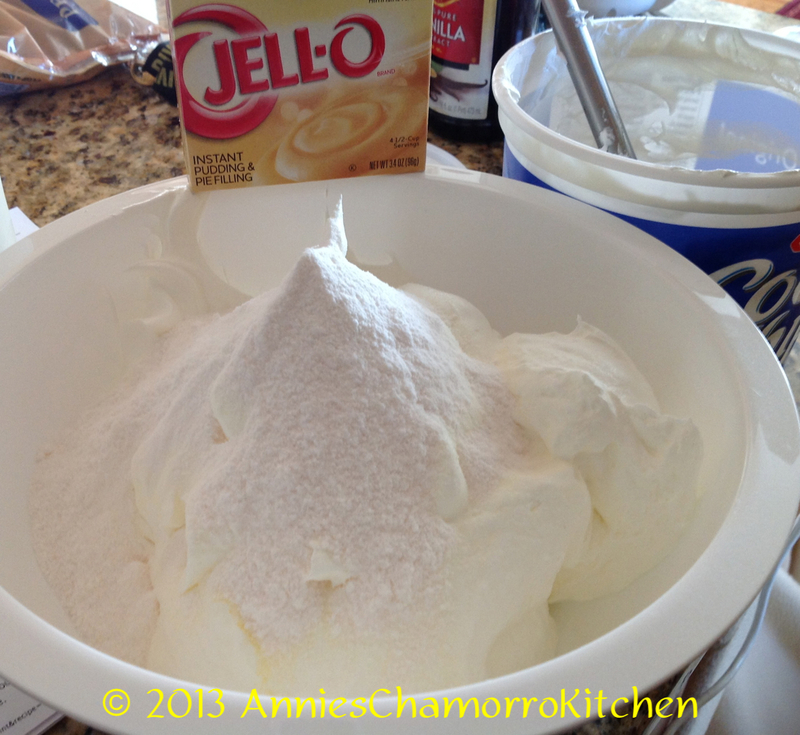 And finally, the top layer is not just plain old Cool Whip Whipped Topping, but a thicker version made so by adding sweet vanilla pudding to it. My version also uses carrot cake instead of regular yellow cake mix, although yellow cake is perfectly fine if that’s what you prefer. 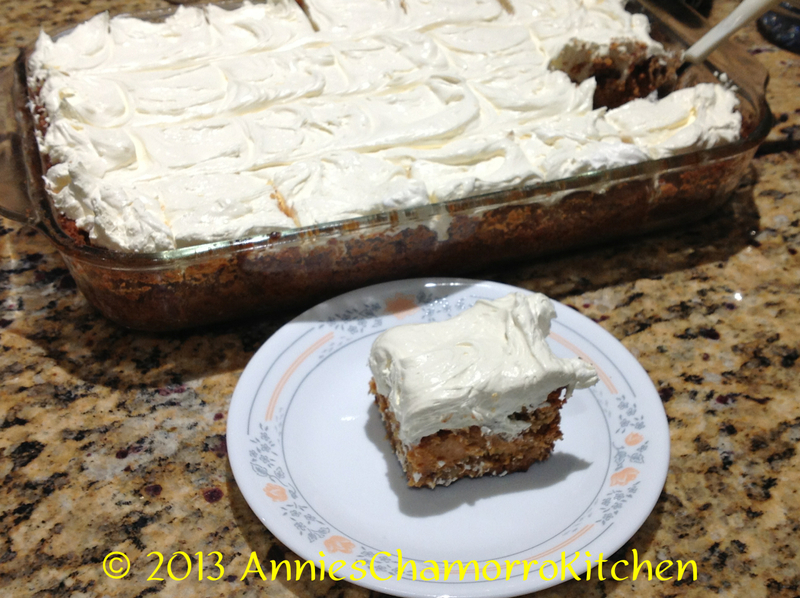 We love carrot cake in our house, so I incorporated two favorites into one, and voila, there you have my Pumpkin Carrot Crunch Cake! 2. 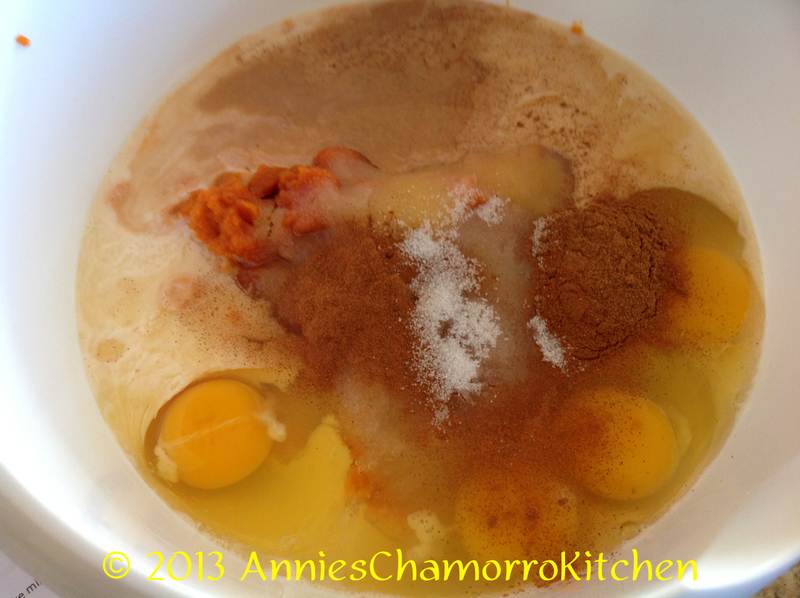 In a medium sized mixing bowl, whisk together the ingredients for the Pumpkin Filling (pumpkin, eggs, evaporated milk, sugar, vanilla extract, cinnamon and salt). Set aside. 3. 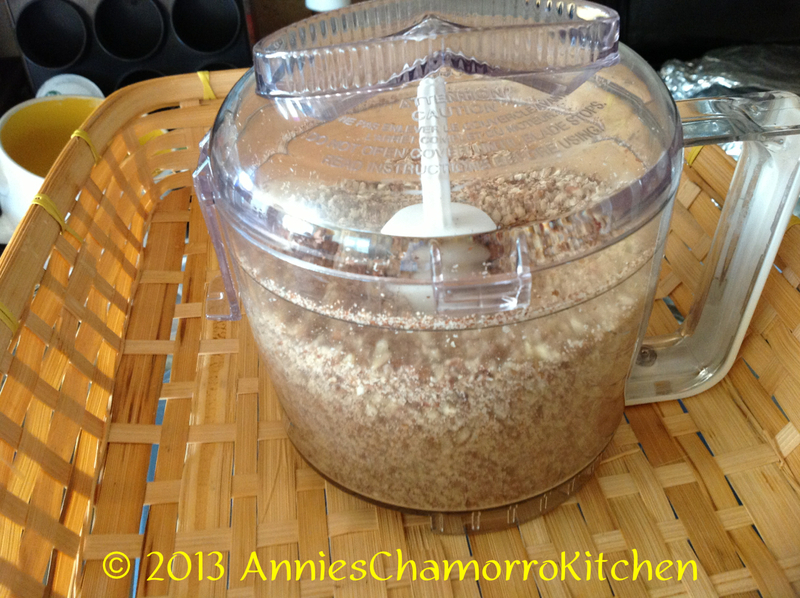 Finely chop the nuts using a food chopper or processor. 4. 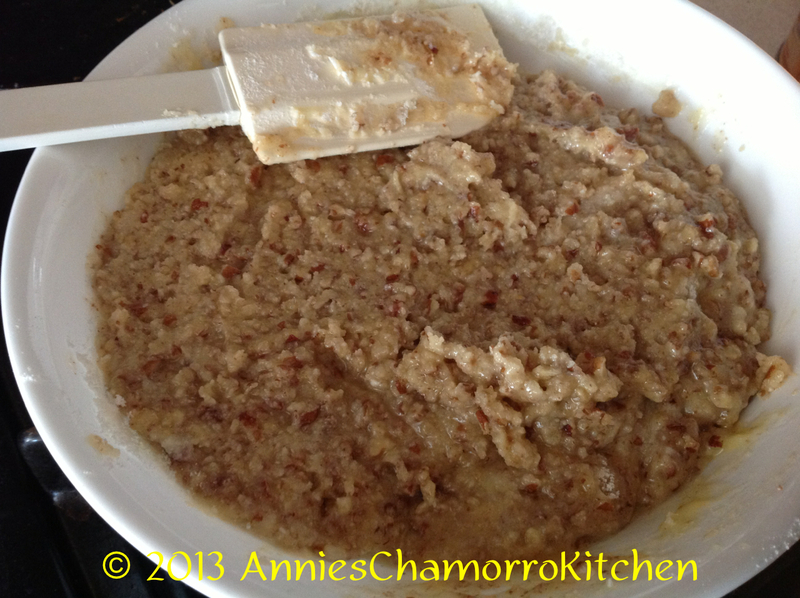 In a separate bowl, mix together the ingredients for the Cake & Pecan Crust (melted butter, chopped nuts, and cake mix). 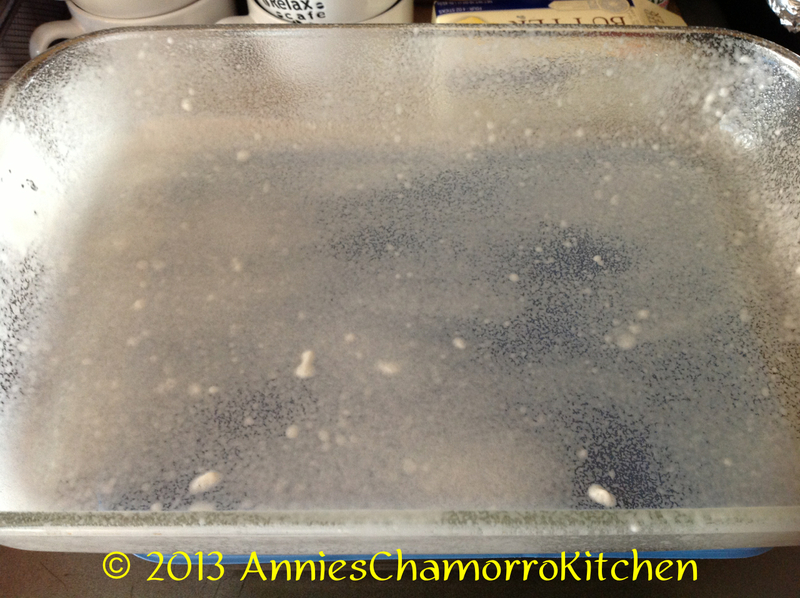 Spray the bottom and sides of a 13×9 cake pan with cooking spray (butter flavored, or the one for baking that has flour in it). 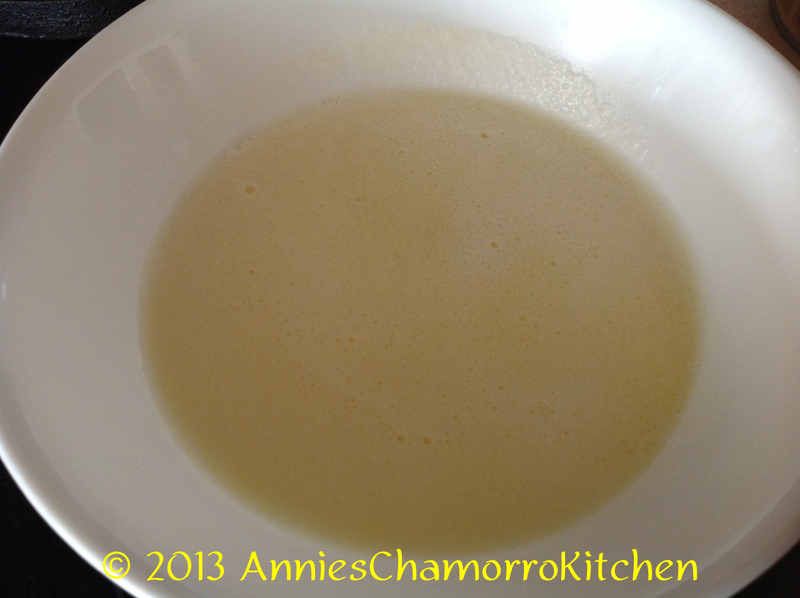 Spread the cake mixture evenly into the bottom of a 9×13″ pan. 5. 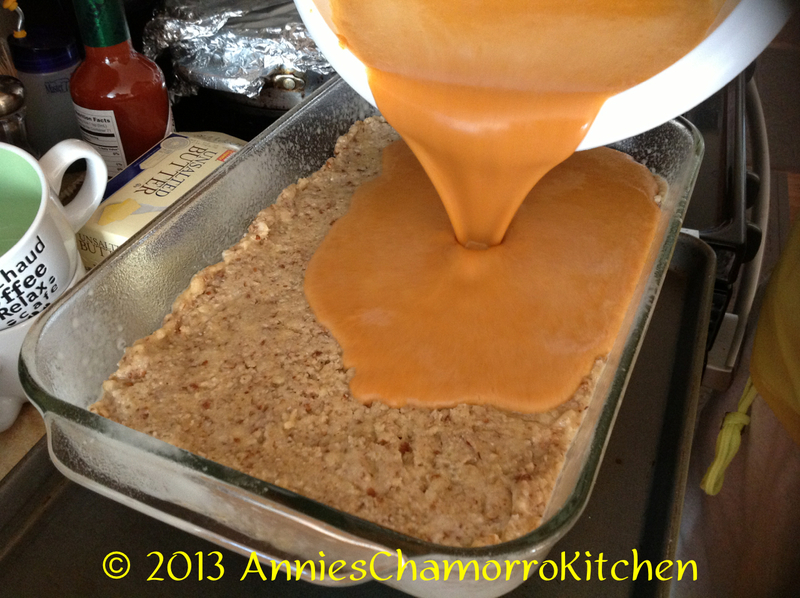 Pour the pumpkin filling over the cake and pecan mixture. Bake at 350 degrees for 55 minutes to an hour. 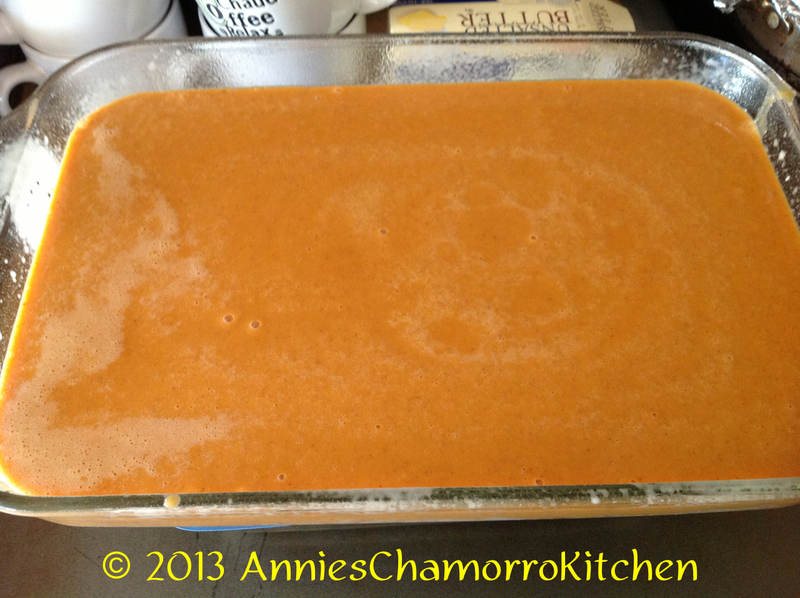 The cake is done when the sides are set (the pumpkin filling will look firm and dry from the edge of the pan inward about two inches) but the middle will still be jiggly. When you take the cake out of the oven, it will continue to cook as it cools. Allow the cake to completely cool on the countertop. 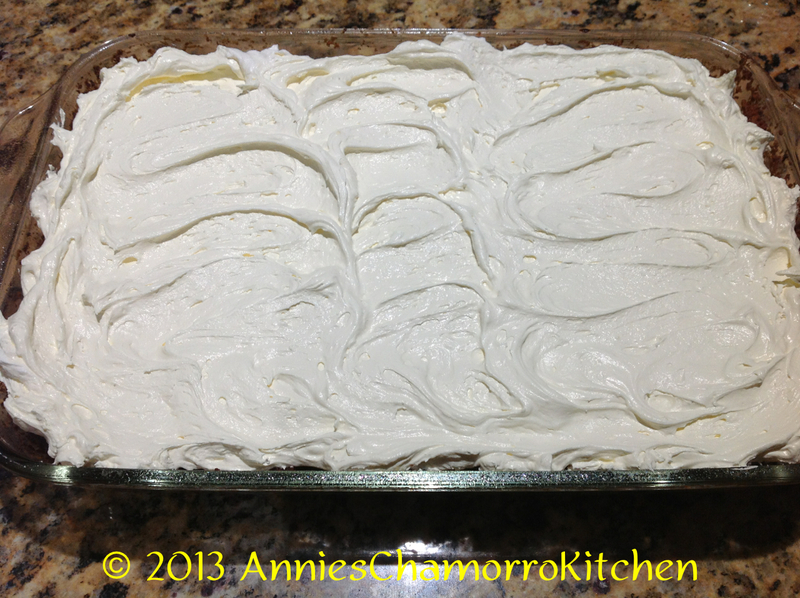 Top with Whipped Topping when the cake is completely cooled. 6. 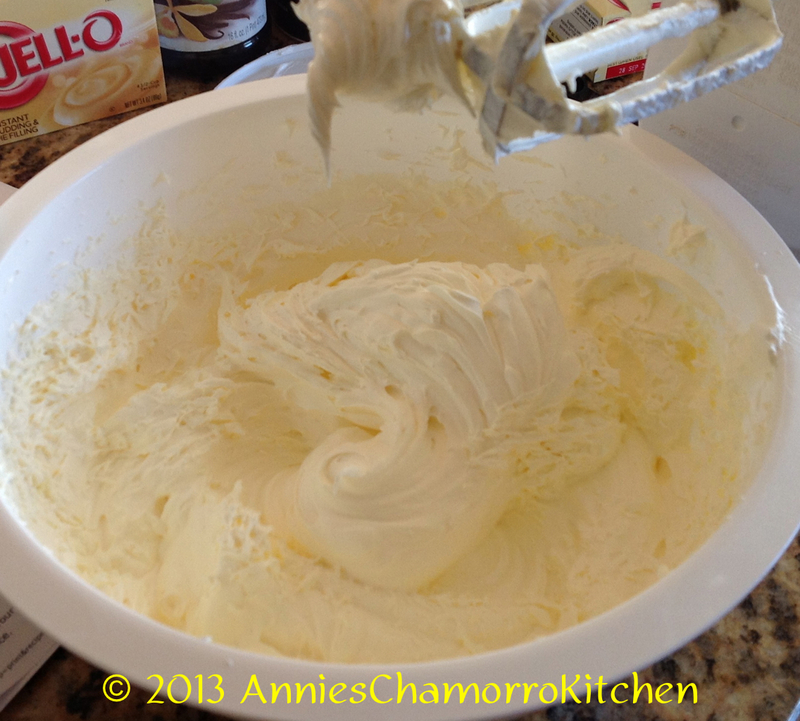 To make the whipped topping, place the Cool Whip into a large mixing bowl. 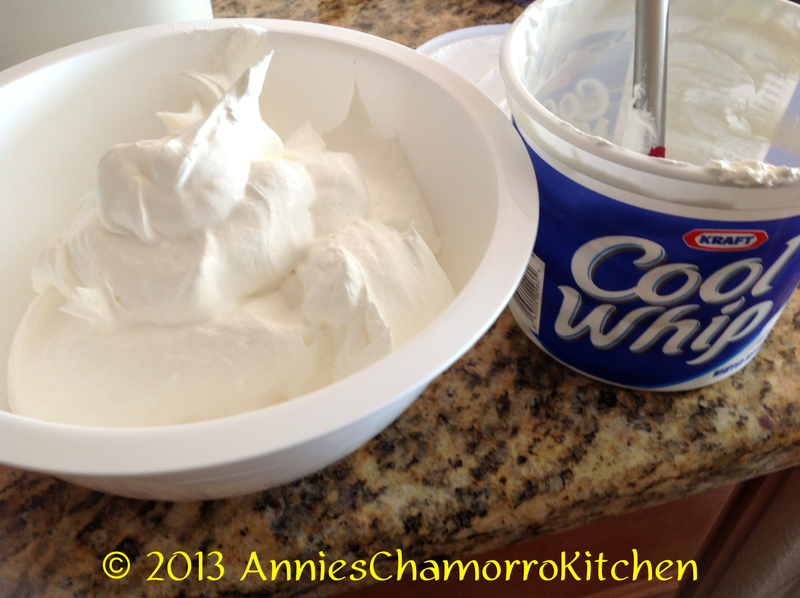 Sprinkle the dry pudding mix over the Cool Whip. 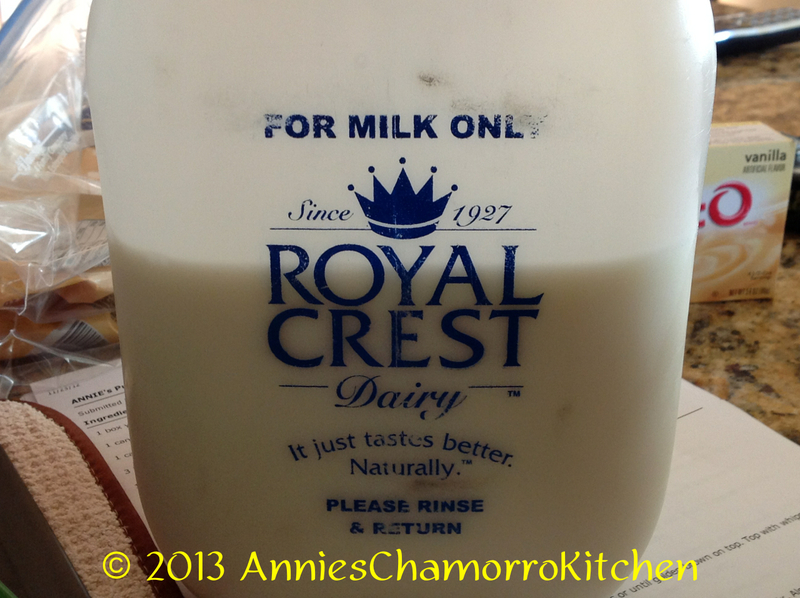 Add the milk. 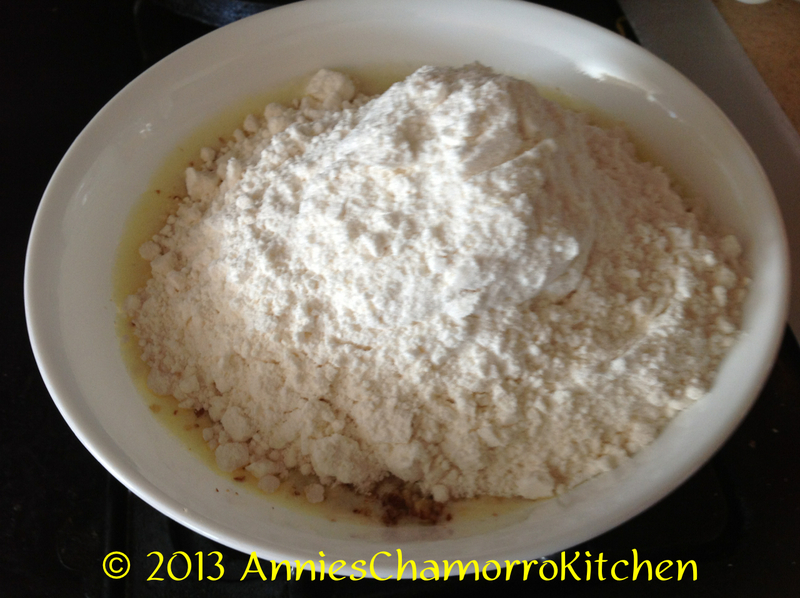 Using an electric mixer, mix until all the ingredients are combined. Let it sit for about 5 minutes to set. Keep refrigerated until ready to use. 7. 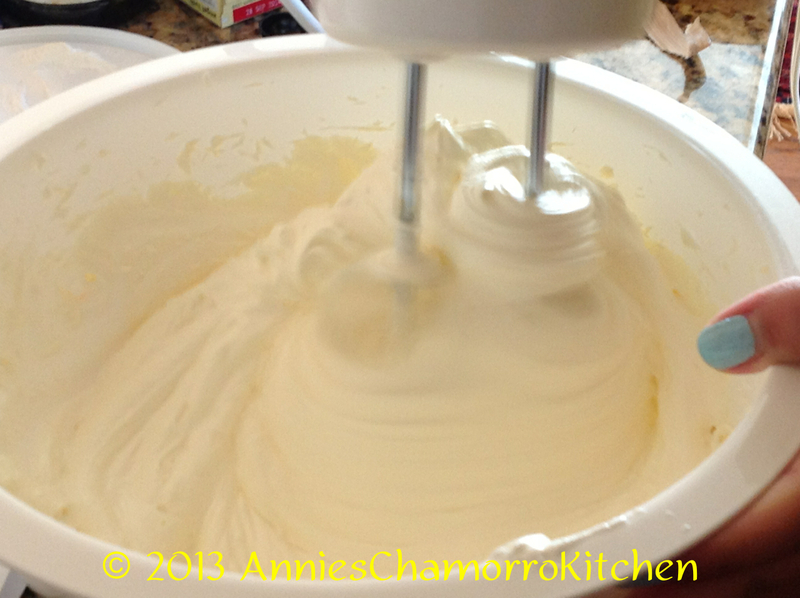 After the cake has cooled, top with the whipped topping mixture. 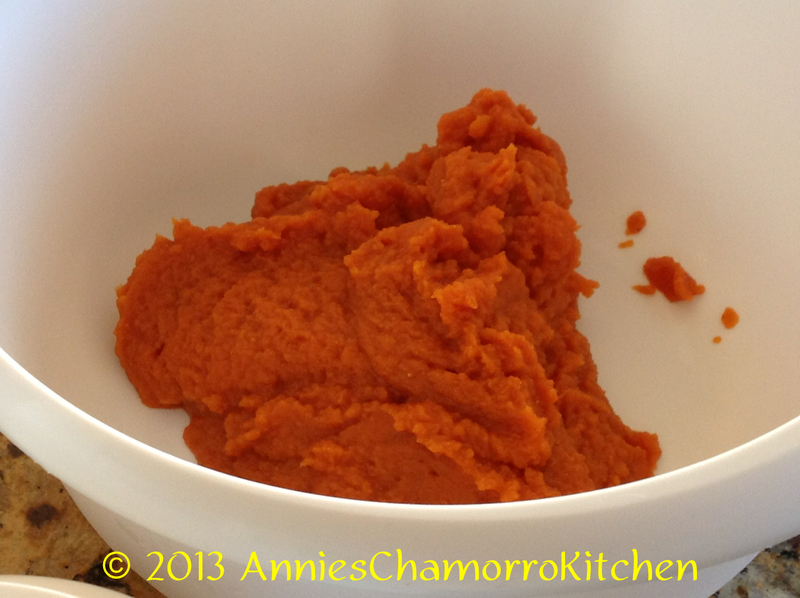 Hi Annie, I’m absolutely excited to make this for my family’s Thanksgiving dinner… I do however have a question. Which one should I use for pumpkin purée? The can that says “Pumpkin Pie Mix” or 100% pure pumpkin… Thanks! Use 100% pure pumpkin. Be sure to let me know how it turned out, and share photos if you remember to take any. 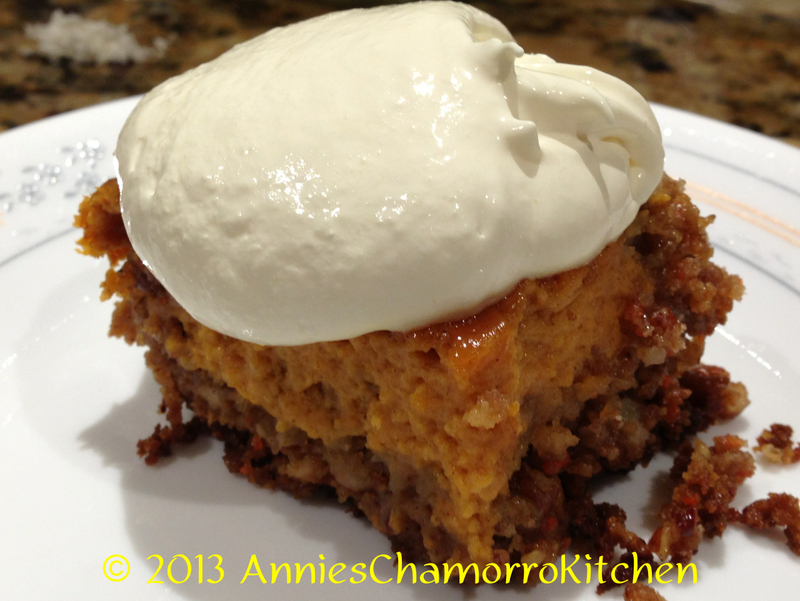 You can share them on my Facebook page: http://www.facebook.com/AnniesChamorroKitchen1.